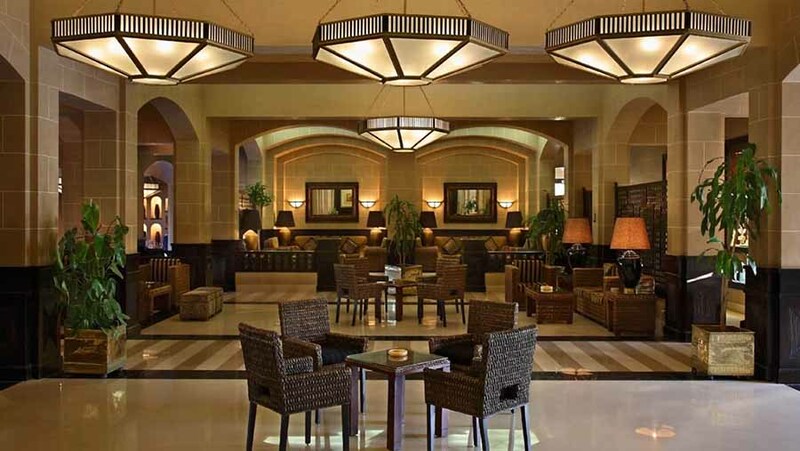 Jaz Solaya is located in the beautiful Madinat Coraya overlooking Coraya Bay. 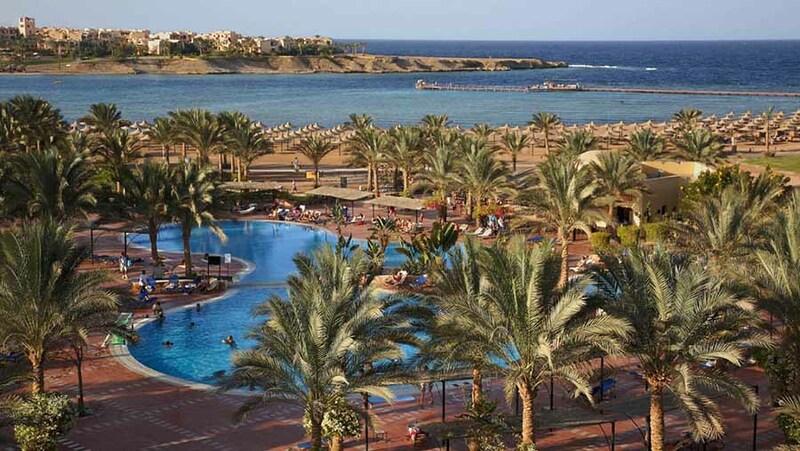 Just 5 km from Marsa Alam International Airport, it’s perfect for diving and snorkeling enthusiasts as its warm, jewel-colored waters are home to all kinds of rare and wonderful fish and marine life. 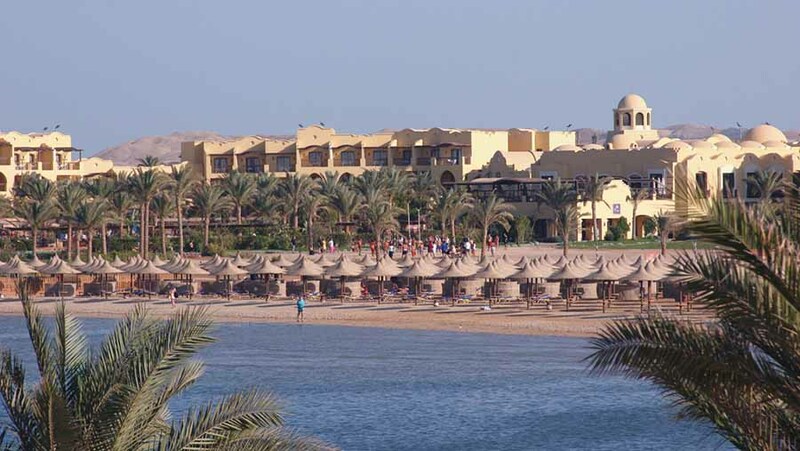 This self-contained and all inclusive resort offers everything you need for a perfect family beach holiday in one of Egypt's most peaceful destinations on the Red Sea coast. 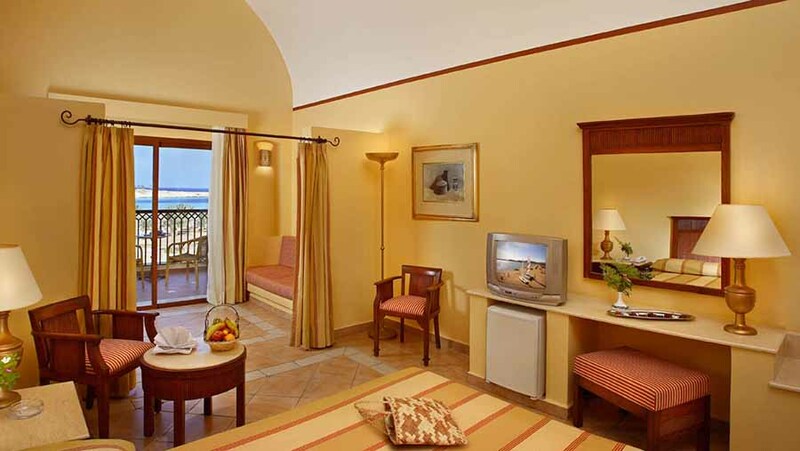 Have fun with the crowd or simply relax on the private beach or at one of the spectacular swimming pools. 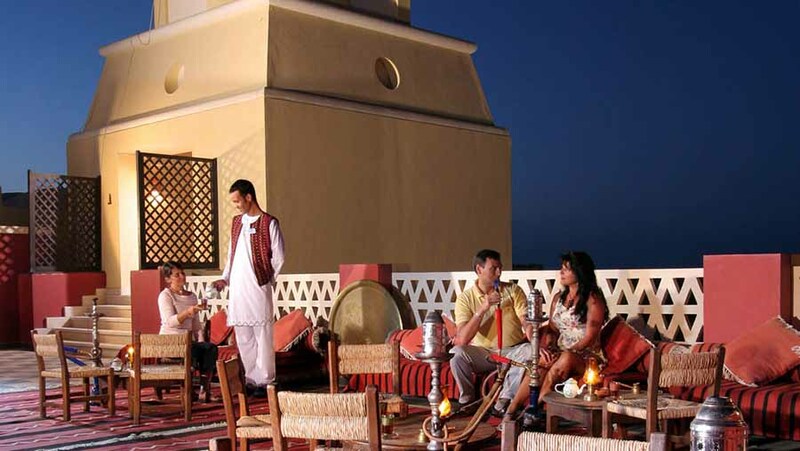 In the evening, you can indulge in a romantic dinner on the restaurant terrace while the kids are safe and secure. 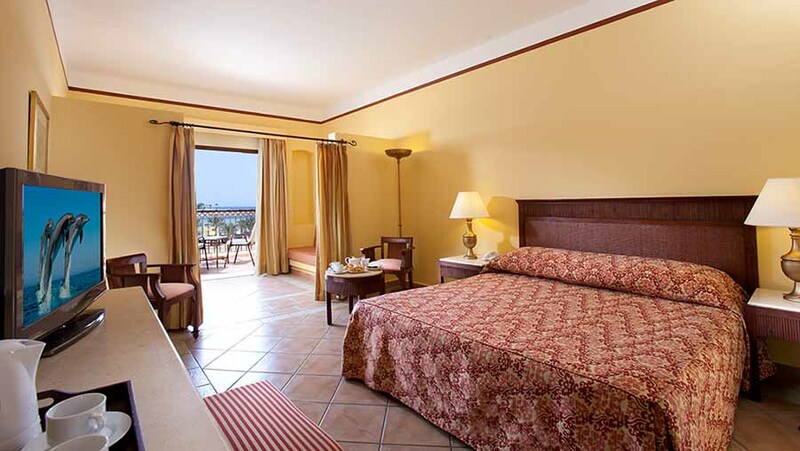 Hotel facilities include a permanently manned reception and lobby facility with Internet access, a restaurant, café and bars, two swimming pools including one just for kids as well as shops and animation programs and live music and cabaret entertainment in the evenings. Visit the Health Club with gym, sauna, steam bath and Jacuzzi or indulge yourself with a massage. The nearby diving center can organize short diving courses (at an extra charge). For your peace of mind, an on-site doctor is also available. A kids club runs daily to provide supervised childcare and special activity programs for children between the ages of 4 and 12. Youngsters can be occupied all day using their own freshwater swimming pool. The main restaurant will also accommodate special menus for children. The all-inclusive package is particularly good value for money, covering full board with all food and drink, a welcome drink on arrival and afternoon tea with a selection of cakes and coffee every day & much more. 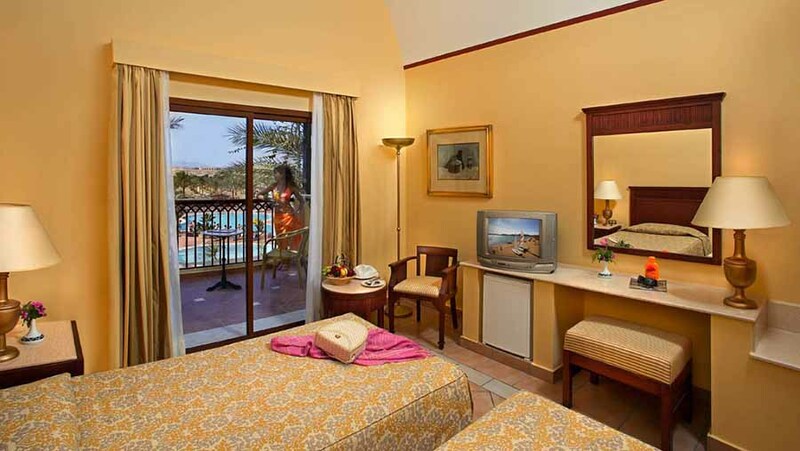 Jaz Solaya has 209 comfortable and pleasantly furnished guest rooms. Jaz Solaya offers a first class buffet style restaurant and café as well as friendly bars. Safari Restaurant is our main restaurant and features a spacious terrace. Serves sumptuous International buffets for breakfast, lunch and dinner with "à-la-minute" live cooking stations. Savana Bar offers all kinds of drinks in an elegant and relaxing atmosphere. Tropicana Bar is the perfect place to enjoy cooling drinks and light meals throughout the day. Narguila Oriental Café a traditional Arab Shisha (water pipe) café with oriental drinks located in the middle of the shopping arcade. Eclipse Discotheque dance the night away with our animation team to the early morning light. 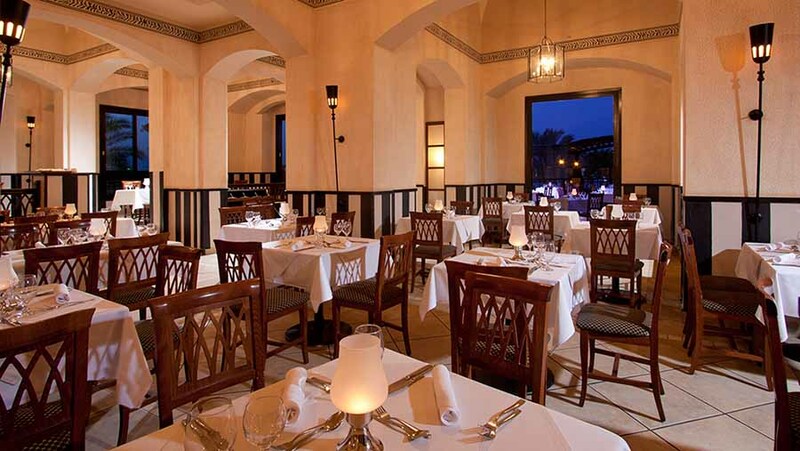 Once per stay, guests can enjoy a free of charge dinner in one of our specialty restaurants in Madinat Coraya. N.B: reservation must be made through the reception desk one day before. The hotel has two large swimming pools, one is heated during the winter, but if lounging in or beside the pool is too lazy for you, there are plenty of activities on offer. Health Club with gym where you can luxuriate in a Jacuzzi, massage (against charge), steam bath or sauna. Our animation team organizes daily activity programs and hosts live music, dancing and folklore shows that are performed regularly in the evening at the hotel’s theatre. The kids club is open daily and provides supervised childcare from 10.00 am till 5.00 pm. Special activity programs are designed for young ones aged between 4 and 12. Children also have their own playground and a separate freshwater swimming pool.